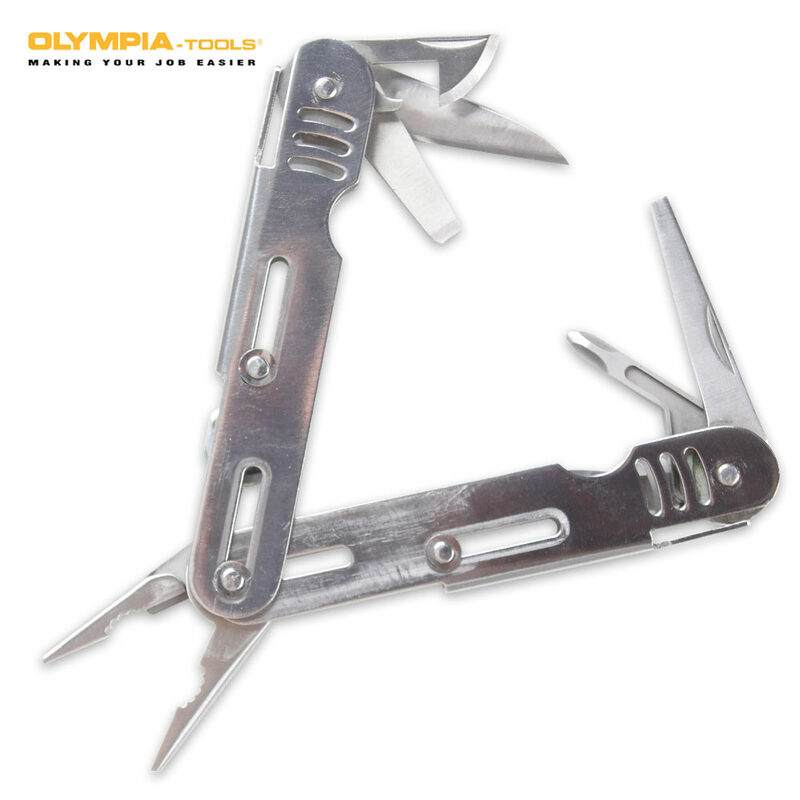 Olympia Pen Multi-Tool | BUDK.com - Knives & Swords At The Lowest Prices! 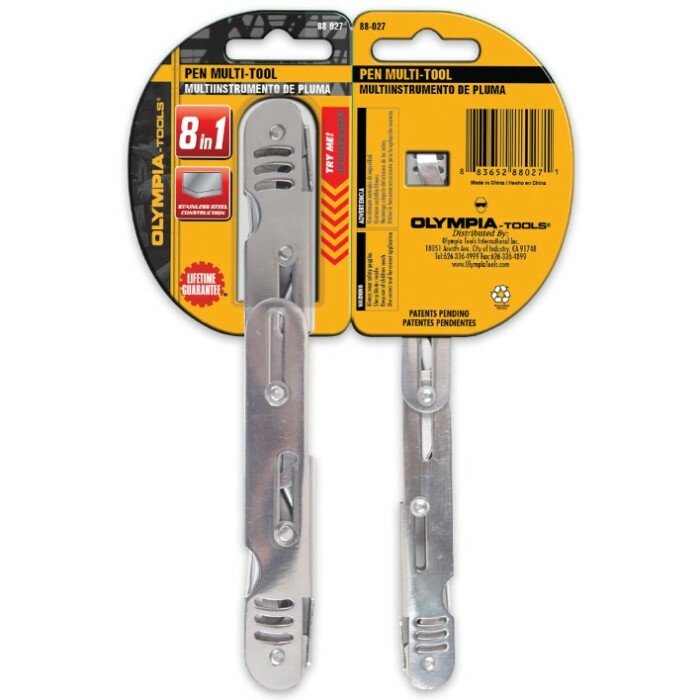 The Olympia Pen Multi-Tool puts eight of the most common use tools right in your hand. 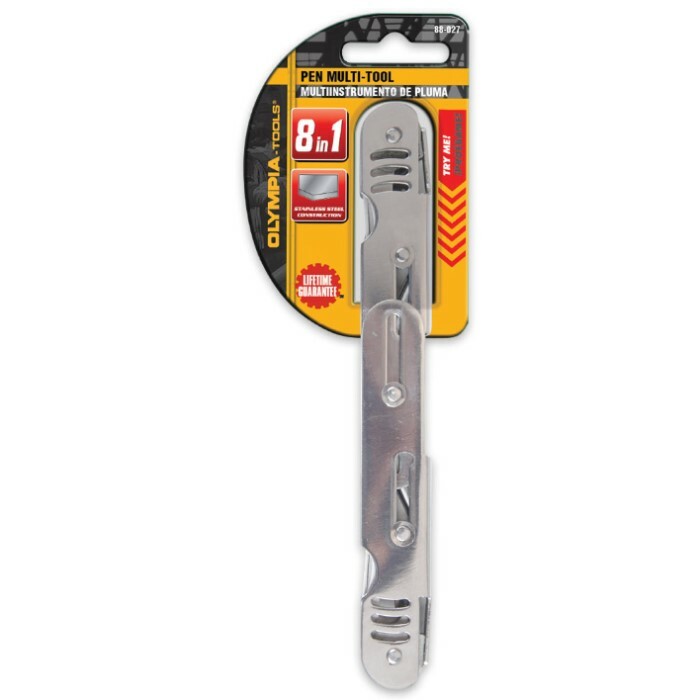 The compact multi-tool has a sturdy, rust-resistant stainless steel construction. It features both needle nose and standard pliers and both slotted and Phillips screwdrivers. It also has a wire cutter, knife blade, file and bottle/can opener.